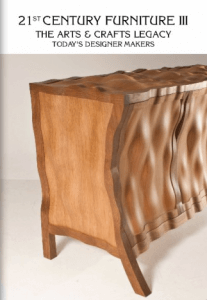 For a third year in a row we are exhibiting at the Millinery Works – 21st Century Furniture Makers show. It is rapidly becoming the major London showcase for bespoke designer-makers and a fabulous place to see the work of contemporary makers next to more historical names like Edward Barnsley, CFA Voysey, Betty Joel, Ambrose Heal, C R Ashbee and many others. It’s no accident that ’21st Century Furniture makers III’ is subtitled the ‘Arts and Crafts Legacy’. The 2011 show includes the work of 39 of the countries best makers like The Barnsley Workshop, John Makepeace, Martin Grierson, Waywood, and David Savage.